Money can't buy you love, but the topic of money can cause a lot of tension when it comes to love. Disagreements about money – what to spend it on, how much to save, who pays for what – can cause a lot of stress in a relationship. One of the biggest questions couples face when getting married or moving in, is whether to open up a joint bank account or to maintain separate banking accounts. "This conversation becomes even more important and sensitive when one partner earns more than the other," says Head of Advice at Old Mutual Personal Finance Lizl Budhram. According to Budhram, there is a strong case in maintaining your financial independence by having separate bank accounts. However, when it comes to household expenses, Budhram suggests opening a joint bank account "into which each partner contributes an amount proportionate to their salary." To help couples who are thinking about opening a joint bank account, Budhram shares seven tips. 1. Know your own financial status - Speak to your partner about your financial status. Be open and clear about your individual debt, debit orders and any family obligations. 2. Do the research - Look at the type of bank accounts on offer and consider the value-added benefits as a couple. Compare prices, especially transactional costs. 3. Get into budgeting - Decide upfront who pays for what. Get into the habit of drawing up a budget together so that there are no surprises at the end of the month. 4. Set savings goals - Identify your big joint goals and purchases, and then together set specific savings goals and work out how to achieve them. 5. Be clear on your priorities - If your attitudes to money and your spending habits are very different, you could experience a lot of stress unless you prioritise together. It’s important to arrive at a compromise that balances the joy of living in the moment with the need to save. 6. 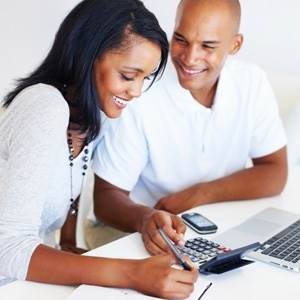 Know how money savvy you are - When you enter a relationship, you bring your own experience in managing money. It’s important to acknowledge and understand each other’s thoughts when it comes to money. 7. Beware of cyber risks - With a joint bank account it’s key that each partner understands the risks. Protect your passwords, personal and online banking information. Use secure devices, don’t share your PIN and use additional safety precautions like two-factor authentication. While relationships are about much more than just money, Budhram says poor money habits can undermine trust in a relationship. "When it comes to managing money as a couple, there is no one-size-fits-all method. As a couple you’ll need to find what works best for you and your unique circumstances and preferences," she says.